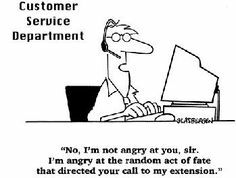 Nobody likes to have to call a customer service centre because those calls are generally linked to a problem. There are multiple other reasons for that (you know them yourself, no need for me to enumerate them here) and if you happen to have forgotten them, just Google “why I hate calling customer service” and you may end up reading some quite furious blog posts and articles. In spite of all the fury, it looks like we are not yet fully self-sufficient to find answers to everything ourselves, not even with the big “crystal ball” of search engines at our disposal, so we still need to dial those 0800 numbers and indulgently agree to have no control over the next 10, 20, 40 minutes of our lives! What’s in store for people working in call centre jobs? The big question is: what should the future hold in this regard? The trend is quite clear, as many companies are shifting to automated call centre operators. These are essentially robots that can communicate with you with a crystal clear voice and answer your questions with beautifully nuanced sentences; they may even laugh at your jokes and ask you if everything turned out well with that grass cutter you called to complain about last time. A clear illustration is “Samantha West”. Unlike what you may think, Samantha isn’t a person, it is the name used by telemarketing software to call potential clients. While nowadays we find cases like Samantha West to be funny and even a little sweet in her dullness, this will probably be the standard in the future. The reasons why companies are going for automated call centre operators are rather straightforward. For starters, most of the information we can get from calling customer service centres is available at our fingertips by performing an advanced web search. So if it is already out there, the only gap that companies need to close is the “search” function which used to be done by trained employees, but nowadays can already be done by even the less sophisticated robots. Secondly, for services where we are dependent on getting in contact with the company to provide some input data, such as when calling a bank or a flight operator where we usually have to key in a card or account number or a reservation code, it certainly easier, faster and more error proof if the dialogue partner is a computer… of course given that it is not suffering from an acute “technical issue”. Among other benefits associated with this are the cost savings, the flexibility of location, space, languages, training and updates. Aren’t Call Centre Agents better off? While people working in this field are fighting hard to keep their environment human, the job satisfaction of call centre operators is under attentive observation. Across the entire industry, call centers replace 26 percent of their front-line agents annually, according to Response Design Corporation in 2009. This means that at a company with 1,000 agents, for instance, managers should expect 260 telemarketers to leave voluntarily or involuntarily by the end of the year! This is a lot. The top motivations for leaving don’t seem to relate to the presence of colleague robots but are more personal such as “Not the right job fit to begin with”, “Fairness of Pay & Medical Benefits”, “Supervisor Problems” and “Lack of Career Opportunities”. I will not even try to make a proposal of the ideal, “jolly” model of a telemarketing service center; this has been the theme of many papers already, but perhaps what we can learn from the motivations for leaving, listed above, is that the people working in the call centres themselves are showing us the direction we should move towards. 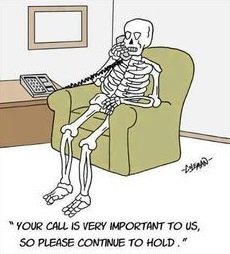 Many people working as a call centre agent aren’t satisfied with their job. Therefore the question if the rise of software should be considered a job threat or rather an opportunity to free people from low satisfaction jobs becomes increasingly relevant. In our current way of thinking, a job such as a call centre agent provides financial security, even though it doesn’t necessarily provide much (if any) satisfaction. Clearly, applying this logic, automation is threatening the livelihoods of many. The alternative perspective is more appealing: technology frees people from a job they dislike to free up time to do things they do like. Technology enables them to contribute to our economy and society in a different way. Clearly, the latter perspective is only viable if we tackle the resulting financial insecurity that follows.